Log Dwellers were found in the Black Oaks. Massive. 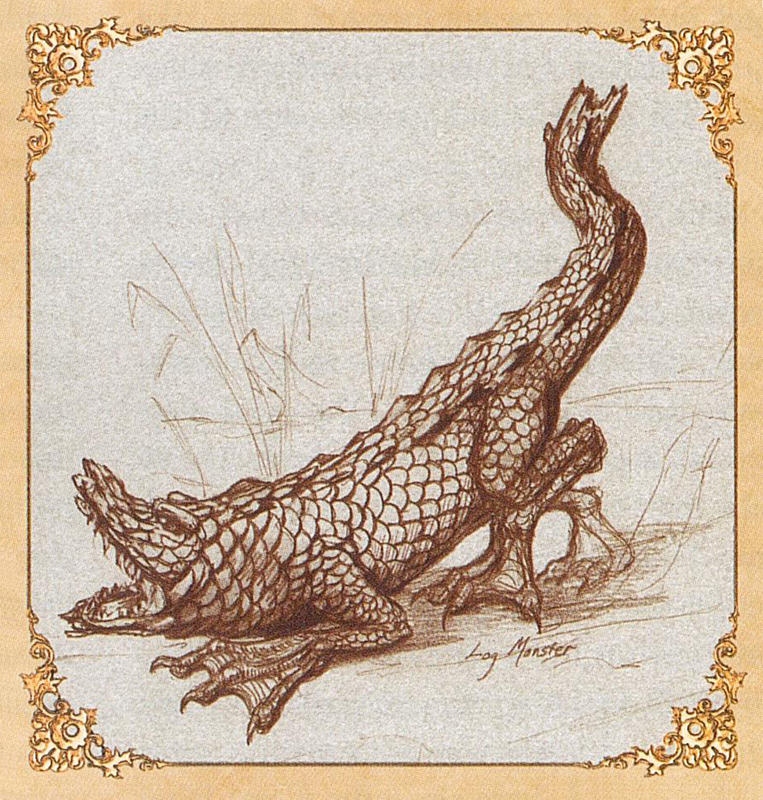 Scaly body, a head that seemed to be all snout and teeth, clawed limbs.